Windshield damaged? No problem for the Auto Glass Warehouse. We offer North Port windshield repair and replacement with mobile service at no extra charge! There is no need to take time out of your busy schedule to make an appointment to go to a repair shop. Let us take the guess work out of having your windshield repairs as our technicians will come to your home, work or play. Each repair is done with expert precision from certified technicians. All of the repairs done through the Auto Glass Warehouse will restore your windshield to its full strength, structural integrity and safety standards of the original windshield before it was damaged. Bring your vehicle back to it’s great condition with a quality North Port windshield repair today. Windshield repair may seem like a easy DIY project. 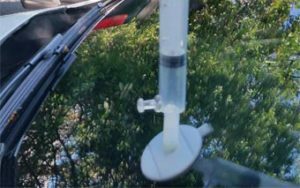 There are tons of do it yourself windshield kits on the market claiming to be the best and the easiest. You can even find numerous step by step videos to walk you through the process. However, there are some things these kits and videos do not have. They are lacking experience and training. Without experience and training, attempting a windshield repair could leave you with more damage and a failed repair that cannot be fixed, only replaced. If a repair was attempted in the past, another repair can never successfully be done on the same damage area, no matter who is attempting a repair. They are also able to fix your repair quickly. Most repairs are finished within 1 hour, including curing time. 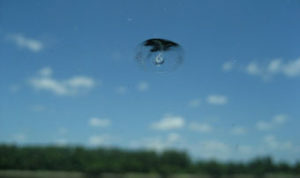 Be aware however, we can only safely do a North Port windshield repair that is not directly in the driver’s line of vision or is larger than a half dollar. To do a repair in the driver’s line of vision would be unsafe. This is because damage to a windshield that lies in a driver’s line of vision causes a driving obstruction and reduces a driver’s field of vision. Even a small chip can cause sunlight or headlights to reflect in a driver’s eyes and cause a accident. Chips that are larger in diameter than a half dollar cannot be replaced as the area is too large to fill. Attempting to fill a larger area can result in the weakening of a windshield, leaving the driver and occupants at a higher risk of injury in an accident. Since your windshield offers more than 40% of the structural integrity of your vehicle as a whole, it needs to be kept at its highest strength to keep you and your passengers safe. If your North Port windshield repair meets these requirements, call us today at 941.556.5549 to set up your repair appointment.